ePublishing Knowledge BaseePublishing Knowledge BaseePublishing Knowledge Base EditorialHow do I paginate an article? Paginating an article, or creating multiple pages out of the same article, can increase pageviews and make it easier for readers to consume your content. Paginating an article will automatically add page numbers to the bottom of each page of your article. There are two options to paginate your article. Option 1: In the Article Manager, click on Add a new body section below Body 1. Zoom: Option 1: In the Article Manager, click on Add a new body section below Body 1. When you click on Add a new body section, a second section named Body 2 will open. Use the WYSIWYG editor or html to add text to the second page of your article. Zoom: Use the WYSIWYG editor or html to add text to the second page of your article. You may continue to add additional body sections. 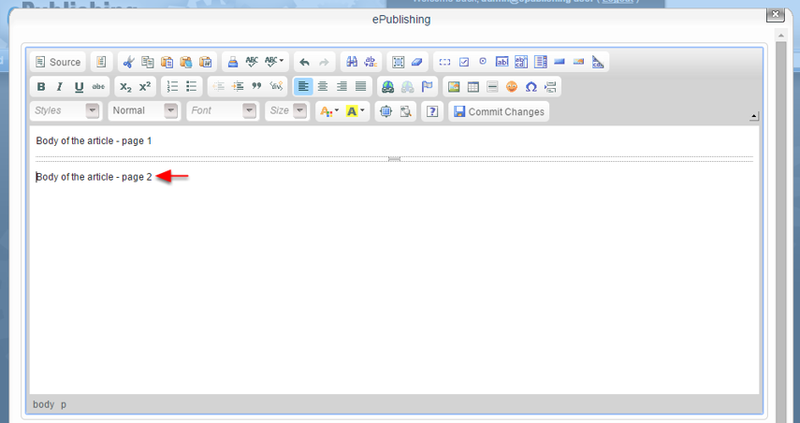 Option 2: You may also add a second page by clicking the paginate icon on the WYSIWYG editor. 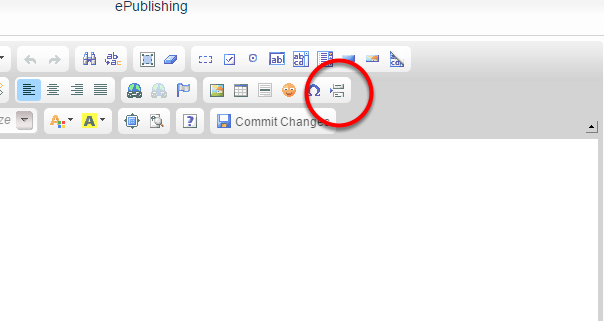 Select the icon after placing the cursor where you want the new page to start. Add the second page of your content under the line that appears. Zoom: Add the second page of your content under the line that appears. Click Commit Changes to save your work and return to the Article Manager. Save your work by scrolling to the bottom of the Article Manager and clicking Save. Prev: How do I add a photo gallery to an article? Next: How do I search for and edit existing articles?